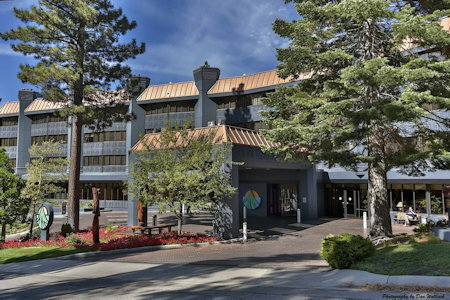 7 Nights in a 1 Bedroom Suite at the Tahoe Seasons Resort in South Lake Tahoe, California! 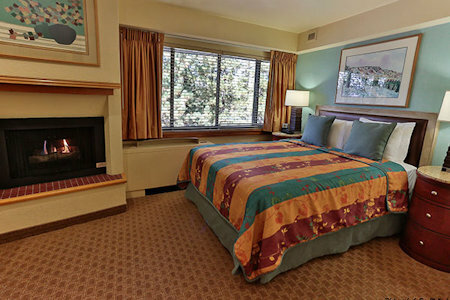 Enjoy 7 Nights in a 1 Bedroom Suite at the Tahoe Seasons Resort in South Lake Tahoe, California! Tahoe Seasons Resort is a magical alpine location perfect for family quests, mountain and snow sports, and secluded retreats. We are located only 150 yards from Heavenly’s® world famous ski run, Gunbarrel. A mile down the mountain is Ski Run Marina on Lake Tahoe and championship layout Lake Tahoe Golf Course. In season, we open our Snow Ski and Board Rental shop located in the lobby. Our 183 hotel-concept rooms include separate sitting and TV area, large tub/shower combination, two flat screen TVs, free premium cable, free WiFi, clock radio/MP3 dock, mini fridge, microwave, wet bar, coffee maker and most with gas fireplace. 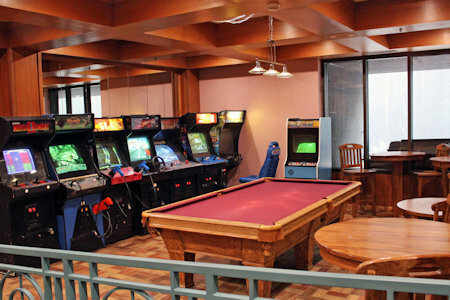 On-site activities include outdoor heated pool and hot tub open 365 days, game room with pool table, guest library and in season rooftop tennis, shuffleboard, sundeck and gas barbecue grills with umbrella tables and chairs. In addition our mountain top location comes with environmental regulations designed to insure future generations the same experience. Waste Water is strictly limited here. In room cooking is microwave only and disposable utensils which both eliminate waste water generated from kitchen cooking and subsequent cleaning. On-site food options are the cafe for daily breakfast 8 am – 11 am, weekend pub Fri, Sat, Sun and Mon, 5 pm – 10 pm, gift shop snacks and in season our rooftop and poolside gas barbecue grills. Accommodations do not offer kitchens, but each unit contains a wet bar with a microwave, small refrigerator, and coffeemaker. All units have 2 televisions with cable service, DVD, phone with data port access (must have own laptop) and whirlpool spa. 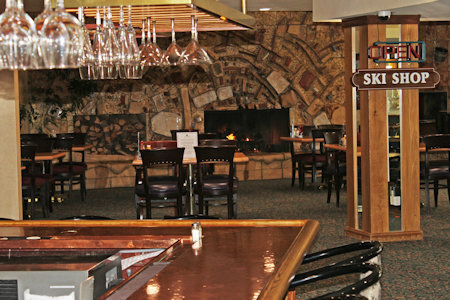 The resort has an on-site restaurant (open for breakfast) and the Pub is open seasonally. Your 1 BEDROOM UNIT will sleep up to 4 guests and has 1 bath, 1 queen bed, and a sleeper sofa. The Following Check-in Dates are Available fora 7 Night Stay! Parking is valet only and complimentary. Our parking facility is four levels below ground. For your safety all parking is done by our paid employee valet. Vehicle height limit is 6 feet 5 inches. Tips are welcome, never expected. Valet offers snow chain service for a fee. Note: Spend the weekend or stay the week, the suite is yours for 7 nights. Also, there is no presentation to attend, so all your vacation time is yours to enjoy!